Marriage Registration,Marriage Certificate,Delhi,Ghaziabad,Noida,Gurgaon,Faridabad,South Delhi,New Delhi,Tis Hazari,Saket Court,Rohini Court. The Hindu Marriage Act of 1955 is applicable to Hindus, Jains, Sikhs and Buddhists. A religious marriage which has already been solemnized can be registered under the Hindu Marriage Act, 1955. The Hindu Marriage Act is applicable in cases where both husband and wife are Hindus, Buddhists, Jains or Sikhs or where they have converted into any of these religions. The Hindu Marriage Act provides for the conditions of a marriage where under the bridegroom should be the age of 21 years and bride of 18 years, they both should not be within the degree of prohibited relationship. You can do your work successfully in short span of time with the help of our marriage centre. Voter I.card, Driving Licence, Matriculation Certificate, Passport (one of these). Divorce decree/order in case of a divorcee and death certificate of spouse in case of widow/widower. In case one of the parties belong to other than Hindu, Buddhist, Jain and Sikh religions, a conversion certificate from the priest who solemnized the marriage. if available. Making all the arrangements for your beautiful wedding ceremony is enough. Your marriage won't be legal unless you get it registered. 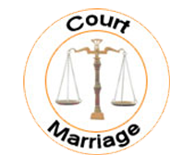 Marriage Registration,Marriage Certificate,Delhi,Ghaziabad,Noida,Gurgaon,Faridabad,South Delhi,New Delhi,Tis Hazari,Saket Court,Rohini Court,This is a common procedure, which has to be followed by everyone. Find out how you can get a marriage certificate both before and after the ceremony.